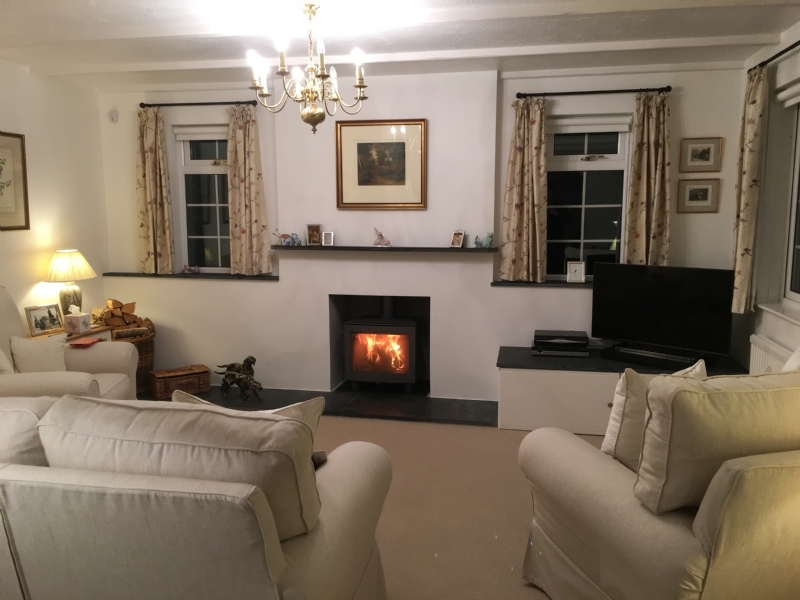 Transforming a traditional fireplace into a clean contemporary fireplace wood burning stove installation from Kernow Fires. 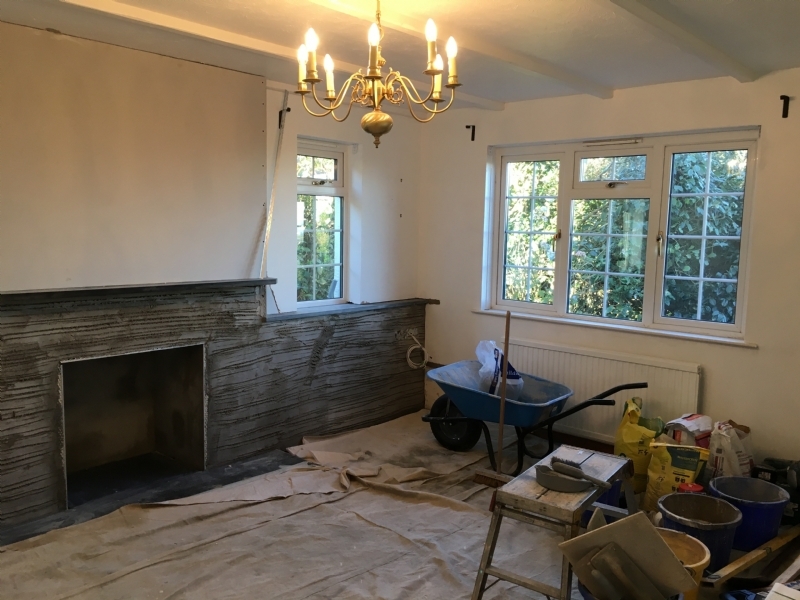 Customer Aspirations: To remove the dark slate fireplace creating a lighter living space. 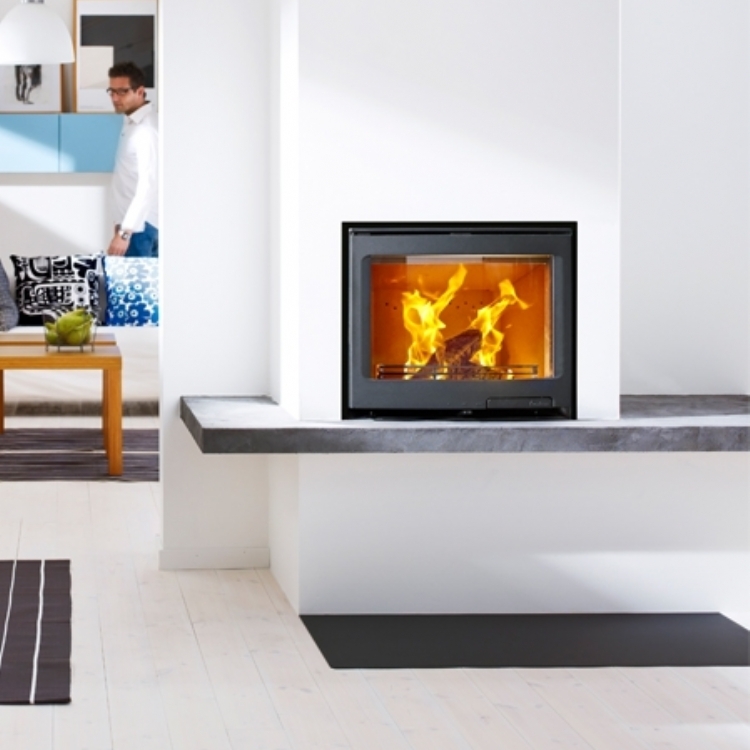 Customer Requirements: A free standing fire within a contemporary fireplace. There are two ways to approach a job like this. 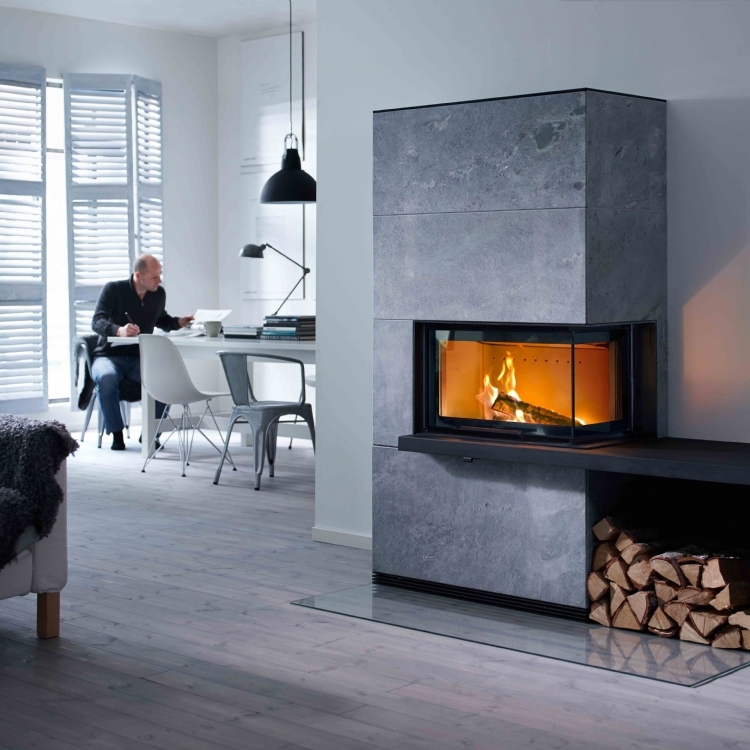 One, you can remove all the slate and fill the wall or like here we can build out very slightly from the slate creating a clean fresh wall. This is the less time consuming and cleanest method and works well for this situation. 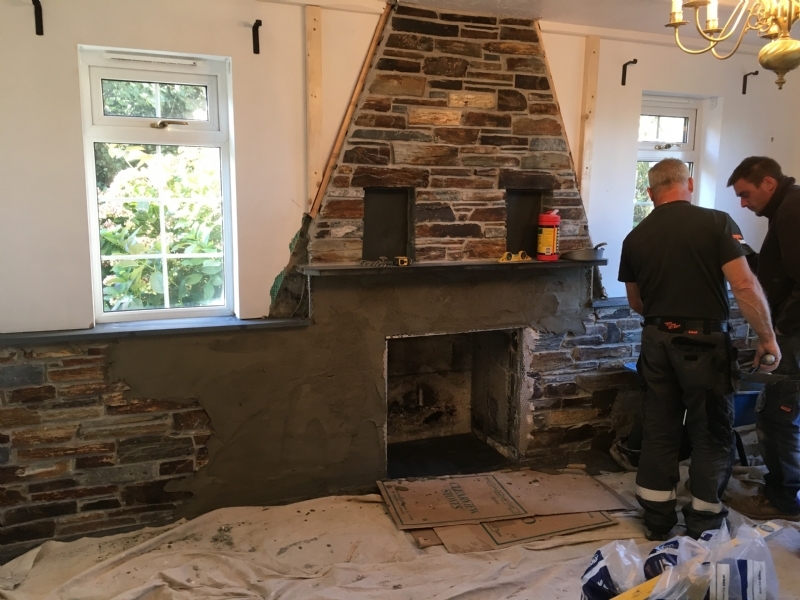 The fireplace opening was made good and slate mantel and window sills added. 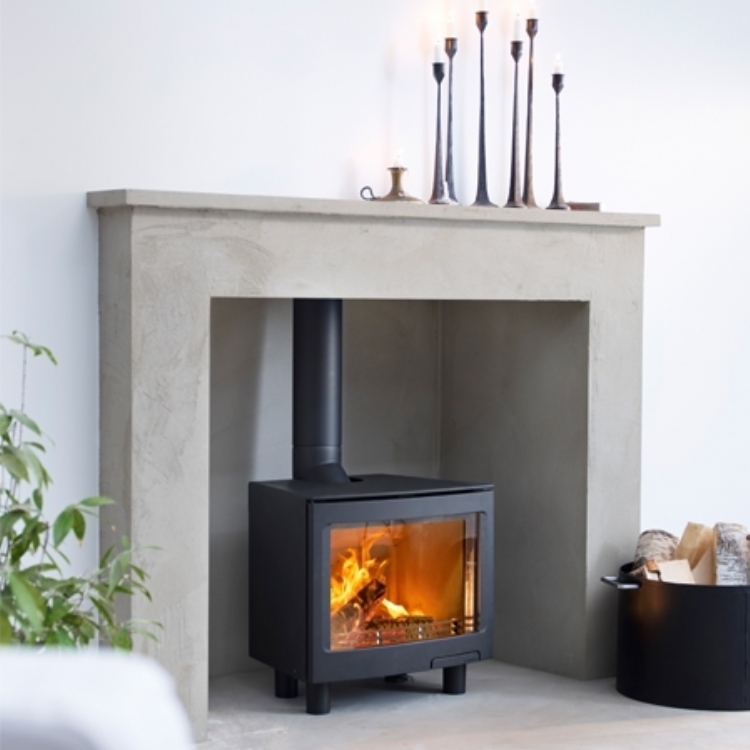 The chimney was relined and connected to the fire with a single length of solid flue. 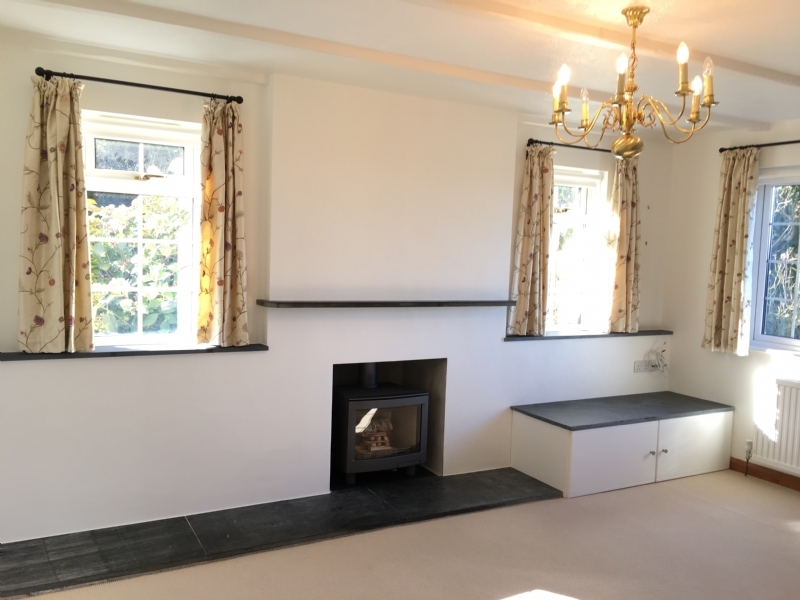 The box to the right of the fireplace was also built by Kernow Fires and finished with slate. 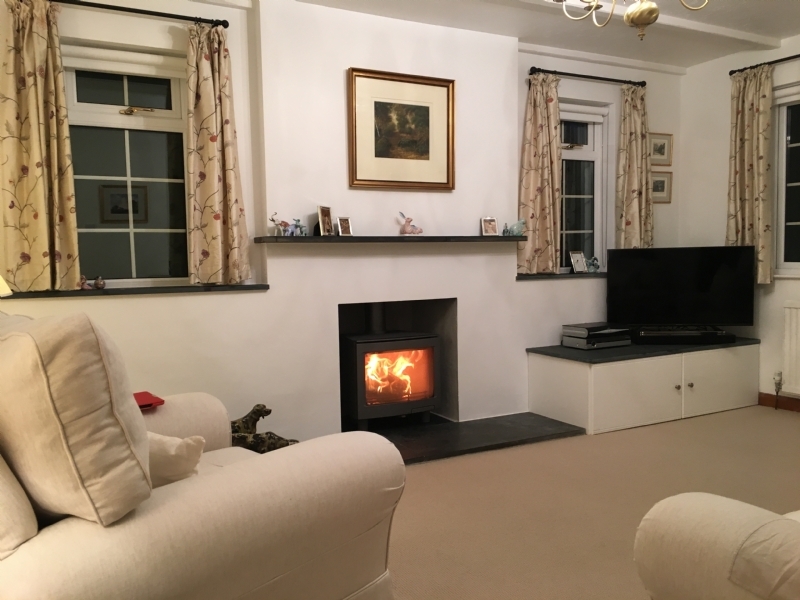 These pictures were taken by the homeowner so we are able to see the room once all the furniture had been put back in place.